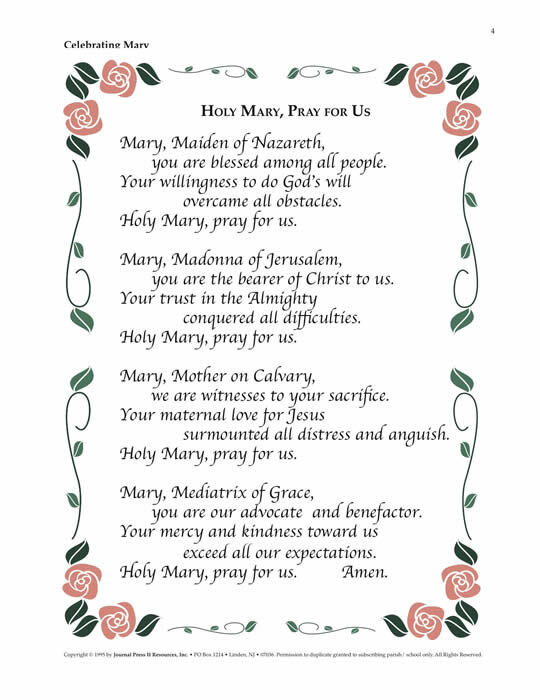 Celebrating Mary is a Master Set designed to help people come to know Mary, the Mother of Jesus, better. The prayers, activities, crafts, projects and puzzles included in Celebrating Mary focus on events in the lives of Mary and her Son. This set contains projects and activities that enable participants to understand more about the customs and traditions which are part of our Catholic heritage. Some of these resources can be used in presenting events in MaryÕs life as a special way of knowing Christ. 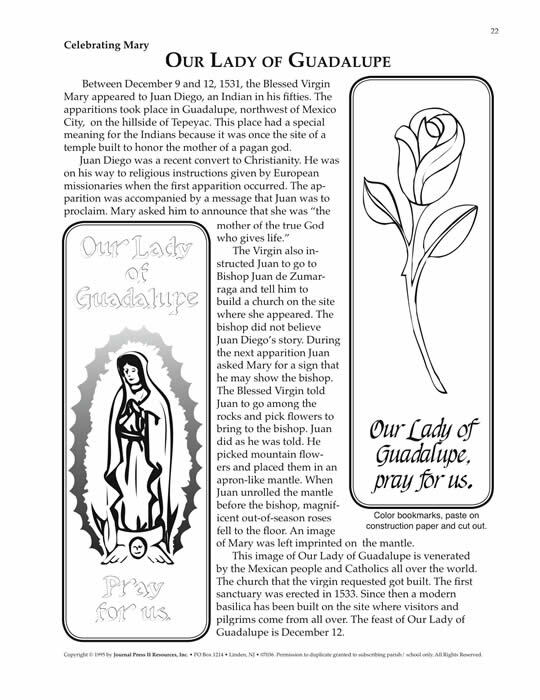 Your purchase (below) will enable the placement of the Celebrating Mary MasterSet PDF on your computer. You will receive an e-mail to enable your immediate download for the set.